A built-in bookshelf makes clever use of space. 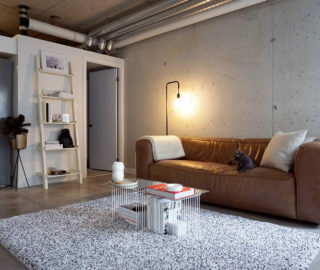 Wall sconce by Tolomeo. The stairs leading to the second floor. The second floor features a custom L-shaped bench, with Eames stool and prints by Damien Hirst. 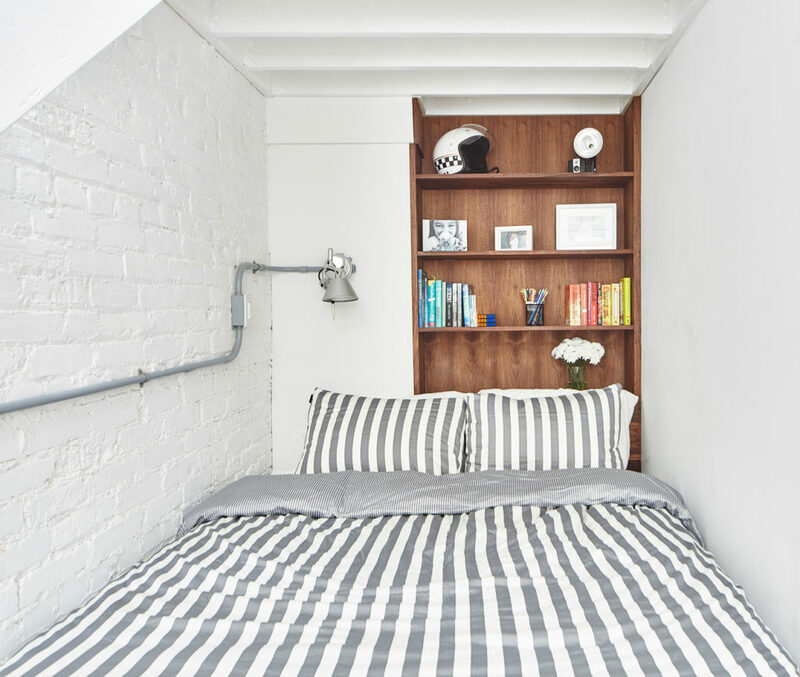 This is the first instalment in our new Closet Space series, which looks at a trio of traditional storage spaces – attic, closet, garden shed – transformed into livable rooms. Here, a spare closet solves a dad’s rooming crisis. 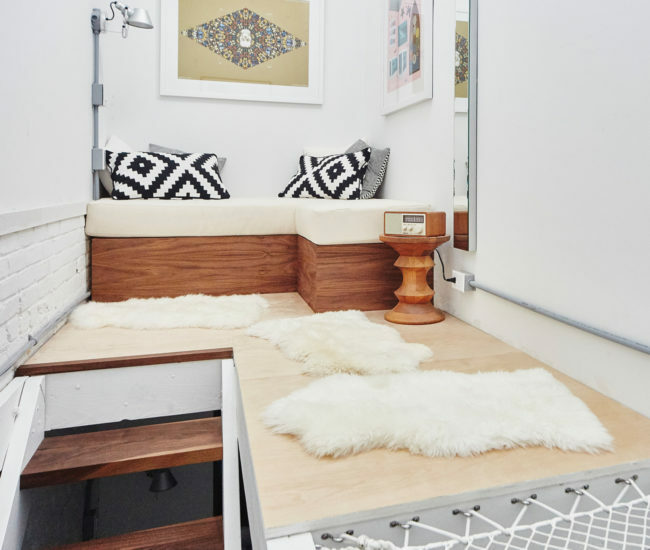 Mary Ratcliffe was designing a “super cool” bunk bed for her client’s 12-year-old daughter, Stella, when a site visit to their unfinished loft put the kibosh on her idea. 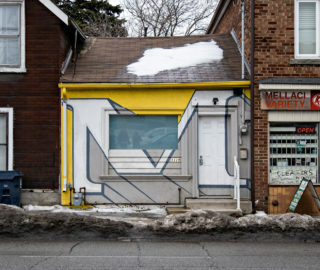 Rather than the spacious walk-in closet promised in the developer’s plan, she found a 7 metre-square cubbyhole with surprise corners and bulkheads. It was hardly the functional third bedroom her client (and doting dad) had envisioned. Her solution? Build upwards, making use of the loft’s ample ceiling height. A talented carpenter, Mary Ratcliffe custom built and installed the solid walnut furniture herself. 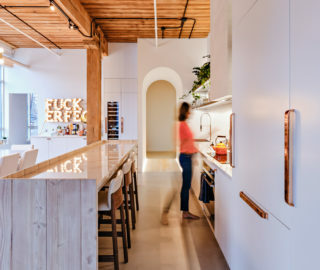 “We took cues from the site’s industrial heritage and built a second floor out of LVLs (laminated veneer lumber) with exposed floor joists that give the bedroom a hard loft feel,” she says. 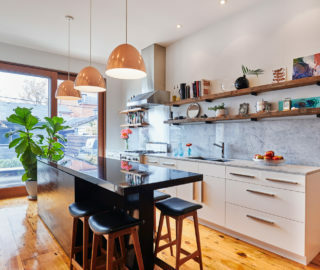 This move nearly doubled the size of Stella’s nook to 12 square metres and gave Ratcliffe, a capable designer and furniture maker, further opportunities to show off her problem solving skills. 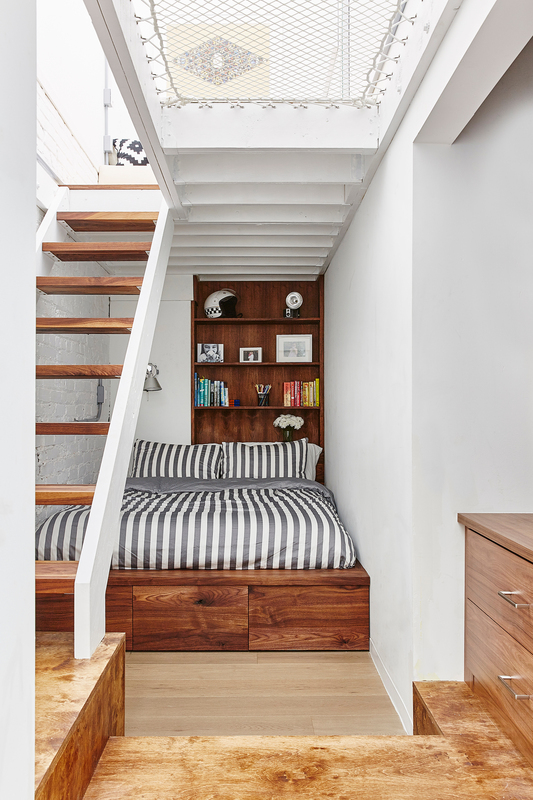 Working with Radek Swiderski of Four Corners Construction, she devised a series of platforms – clever storage cubbies in disguise – and an open walnut staircase that puts shaky bunk bed ladders to shame. 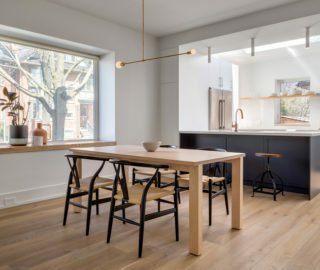 For the second floor, she fabricated and installed a custom L-shaped bench herself from solid black walnut, her client’s favourite material, while choosing unfussy birch plywood for the floors. 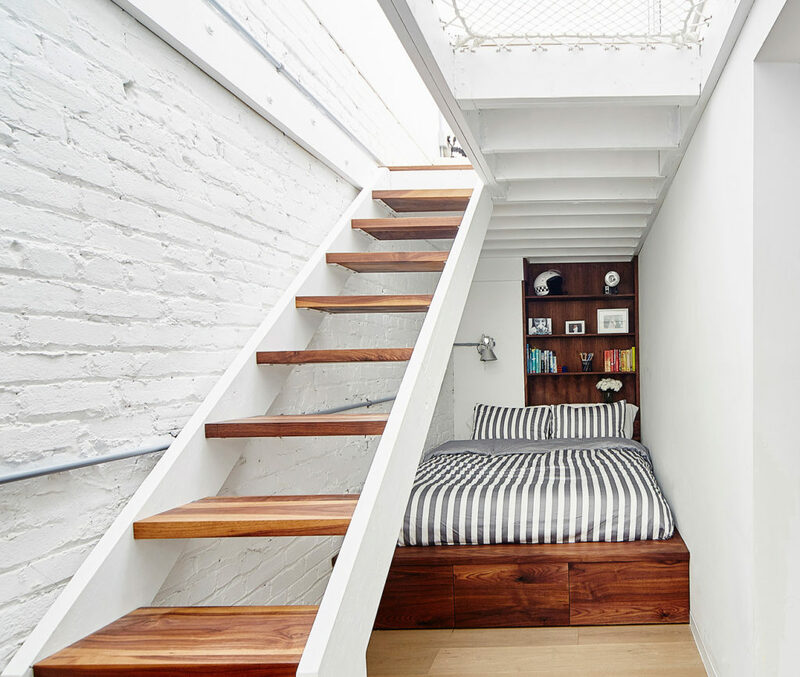 The hammock floor was sourced from a nautical supply company. 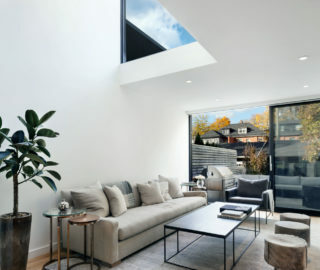 The only natural light pours in through a skylight on the second level. 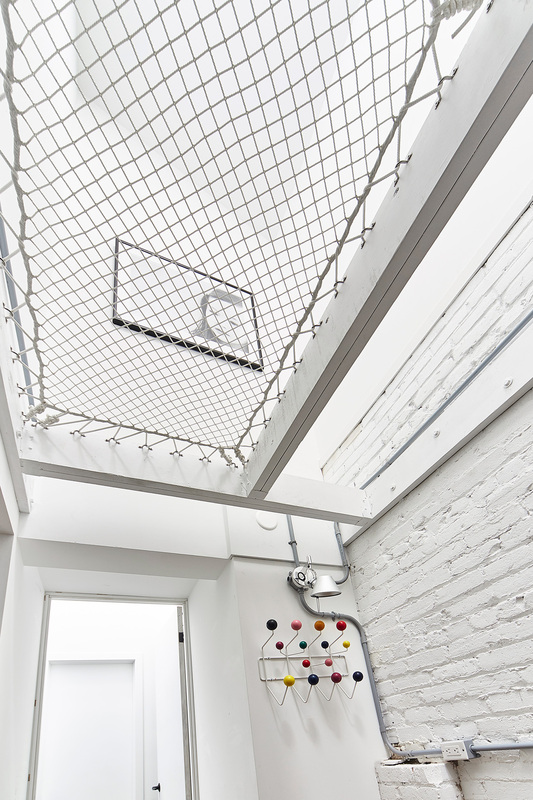 It was this light source that inspired the nook’s main attraction: the light-filtering hammock floor. The netting was sourced from a yacht supply company in Florida that typically outfits luxury catamarans. 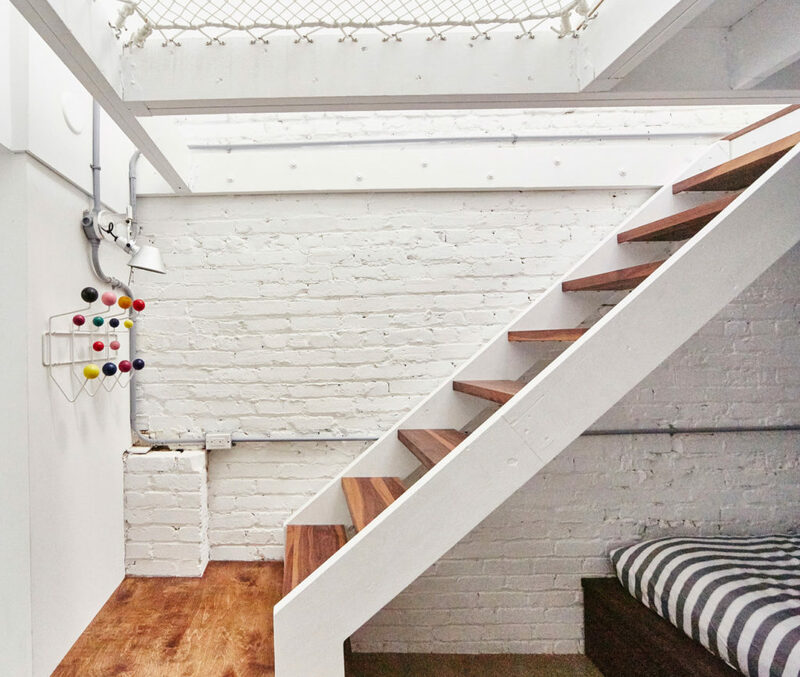 From Ratcliffe’s perspective, the “netting gave us more floor space upstairs while letting light filter down into the first floor bedroom.” For Stella, it’s simply the ultimate chill out zone, and a far cry from a closet. Read how design studio Boychuk Fuller turned their attic into a treehouse for grown-ups in the second chapter of our Closet Space series, and how an architect dad DIYed a garden shed into a home office in our conclusion.